The number of long-term unemployed youths in Lincolnshire has increased by 447% in the past four years, according to The Prince's Trust charity. 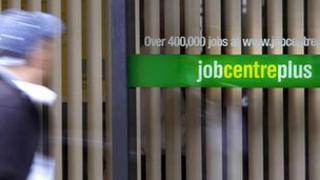 Office for National Statistics figures show 1,750 under-24s had been claiming jobseeker's allowance for more than six months in August 2012. The number of under-24s claiming the same benefit in 2008 was 320. A Prince's Trust spokesman said some people were "losing confidence and skills and... many are losing hope." John O'Reilly, the trust's regional director in the East Midlands, said: "More than a million young people in the UK today are struggling to find work and, increasingly, many are becoming trapped in a cycle of long-term joblessness. "They are losing confidence and skills and, sadly, many are losing hope." Scott Perry, 25, a young magician from Lincolnshire who was helped by the Prince's Trust, said he was given a mentor and a £2,000 start-up loan by the trust. "My business mentor was a great match for me. He isn't afraid to push me and be very honest and I really value that," Mr Perry said. He left school at 16 and spent more than two years looking for work, but managed to set up his business SP Magic four months ago. It focuses on performing magic at live events. Across the country, the number of young people unemployed for more than two years has risen from 38,552 to 103,294 - an increase of 168% in the past four years, the trust said. The charity is organising a live-streamed youth forum called Against the Odds on Wednesday for young people to meet successful young British people, such as performer Alesha Dixon and music producer Mark Ronson. The trust said it had helped more than 4,500 young people in the East Midlands in 2011 with financial support and advice.